Black and White and Loved All Over: A Quick Trip to the Central Coast. A Quick Trip to the Central Coast. I'm now on year five of full-time freelance writing/editing/marketing/social media-ing/blogging from home. 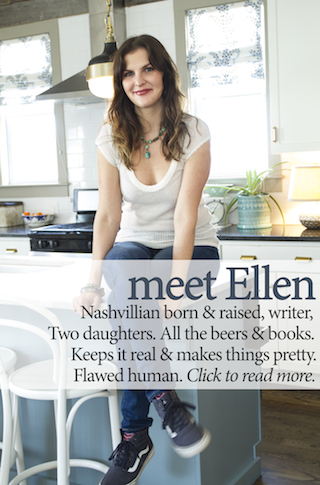 I blog far more often for other people than I do for myself, and most days I love it. Especially recently. Things seem to be taking shape professionally in a way that has eluded me before. My mantra this past six months has been to find a way to work smarter, not harder. I'm a fiercely hard worker and can sometimes get so immersed in cranking things out and paying my bills that I lose sight of the big picture and what I really want for my career/future. What I really want is to continue to be my own boss, to be able to break from work and meet my girlfriend for coffee in the late morning or take the occasional day off and spend it at the pool or the zoo. When my kids are both in elementary school, which will happen sooner than later, I want to have enough work to keep my freelance business going. I imagine--and fantasize about--long, uninterrupted stretches of time to work. Now my time is fragmented, always interrupted. I'm too often rushed, frustrated with my kids. I think that working from home while taking care of two kids has actually taught me to appreciate my work more. I really value having something separate from my home and family to focus on and invest in. And because I've been stuck working for miserable, scary people before, I love that I get to be my own boss and that no one person can come along and fire me. Or make me speak in public. Along the way I've found that I really have a passion for helping small companies (that I believe in--that's key) grow and find their voice to tell their story. Anyway, all that's to say: I have a new freelance writing/marketing client that I'm really excited about! See. I used an exclamation point, which I make a point to use sparingly. I'm legitimately exclamation-point excited about these people and these products. It is the dreamiest of companies--a sink and bathtub company called Native Trails, based in San Luis Obispo, California. 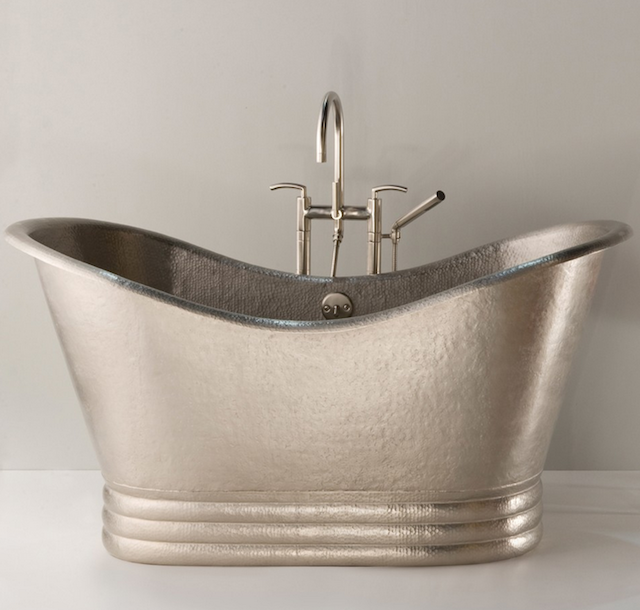 Their niche is hand-hammered copper, which they sometimes plate in brushed nickel (like their Aurora tub above). 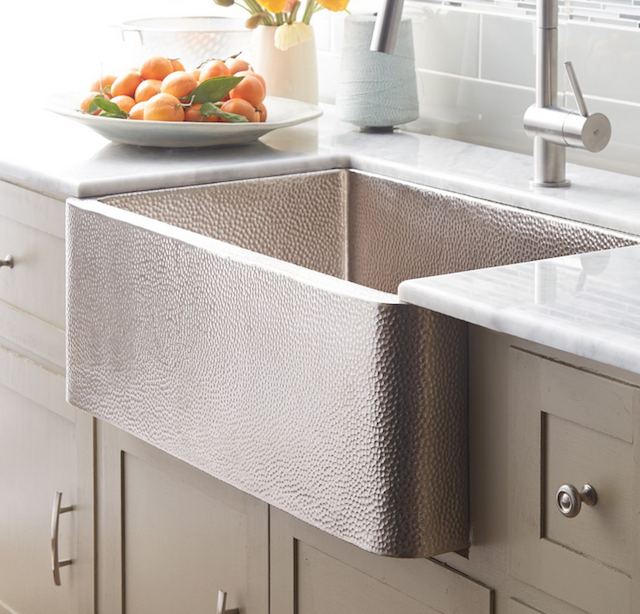 These sinks and tubs have texture and glamour and yet aren't fussy. Best of all, the company is owned by 40-year-old Naomi Neilson Howard, who started this company when she was barely out of college. Her idea was to find a way to sell the handmade goods she collected from artisans she met during her travels to Mexico and Spain. Over time, she segued from selling pottery to selling copper vases to selling copper sinks and then tubs and then vanities and so on. Now she has on her hands a little empire of sustainable luxury goods for the bath and kitchen. She's also a mom to two young ones, and she's a wife. She's got a lot on her (copper) plate, and I can relate. Except that Naomi figured out the work smarter, not harder thing a lot sooner than I did. That's why she owns her own company, and I'm ... you know ... just me. Last week I flew to the Central Coast to spend two full days in the Native Trails offices and to cram all the product and backstory and personnel info into my head that I could. The last night of the trip, Naomi had me to dinner at her house in Shell Beach, near a breezy cliff alongside the ocean. There are blueberry bushes in her front yard and succulent plants the size of cabbages, and there are two pretty amazing tow-headed little children who live there with her and her hunky psychologist husband. Naomi is so warm, so interesting, so dang smart--the exact kind of person I want to work for and please. I believe in this company. If you're interested, you can follow Native Trails on Facebook here, Twitter here, or Instagram here, which I'll be mostly managing for them. When I got back to Nashville my friends asked, "Did you miss your kids?" "Um, uhhh, not too badly, not really," I said. Because honestly the little break was nice, y'all. 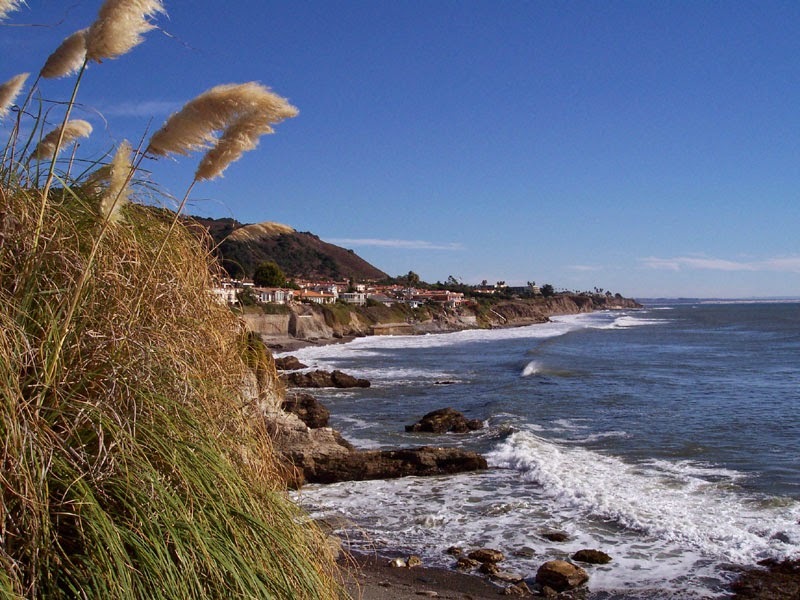 I stayed in an adorable bed and breakfast in SLO called Petite Soleil, and I ate coconut-orange pancakes for breakfast and sushi for lunch and I didn't worry about dirty diapers or sippy cups for a few days. But you know I was thrilled to see them when I got home. Nekos did a great job taking care of Livvy and Tessa by himself while I was gone, and he helped them make a gigantic sign that said "Welcome Home, Mom!" that they plastered against the window at the airport. It was one of those things that was so unbelievably sweet that it didn't even seem real. They are amazing.